Diabetes is a chronic, progressive disease but people with diabetes can live long, healthy lives with good diabetes management. This includes managing not only blood glucose (glycaemia) but also risk factors for complications such as high blood pressure and high cholesterol. These can be managed with a healthy diet, regular physical activity and the correct use of medication as prescribed by a health provider. People with diabetes require access to regular and organised healthcare delivered by a team of skilled providers. A healthy diet for people with diabetes includes reducing the amount of calories in people who are overweight, replacing saturated fats with unsaturated fats, eating dietary fibre, and avoiding tobacco use, excessive alcohol and added sugar. Physical activity is most effective when it includes a combination of both aerobic (eg. jogging, swimming, cycling) exercise and resistance training, as well as reducing the amount of time spent being inactive. For people with type 1 diabetes, an uninterrupted supply of high quality insulin is essential for survival. Regular short-acting and long-acting insulins should be available to everyone in all parts of the world. Unfortunately this is not the case in many countries. The full provision and availability of injection and monitoring equipment is even lower and the cost of blood glucose supplies often exceeds the cost of insulin, especially in some of the poorest countries. 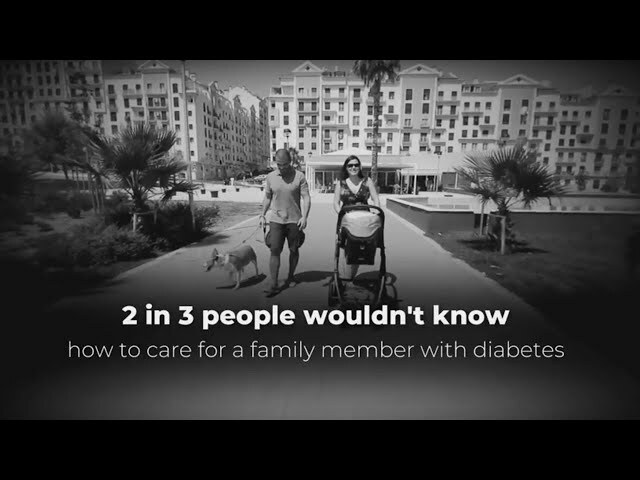 The latest research from the International Diabetes Federation (IDF), which questioned 7,000 people about diabetes in seven countries, found that half of people living with diabetes (51%) felt their diagnosis had put a strain on their family. Two in five (43%) said they had felt anxious when they were diagnosed and a similar number (46%) did not want to be a burden to their families. Concerns over a family member’s quality of life are often made worse by financial pressures and access to treatment when diabetes is diagnosed – especially in developing countries. Almost 100 years since insulin was first used to treat type 1 diabetes, many continue to have difficulty accessing affordable and regular diabetes medication and care. Families have a significant role to play in supporting loved ones with diabetes, but they need help on how best to cope with the financial and emotional pressures that a diabetes diagnosis can bring. Diabetes is one of the leading causes of blindness, heart attack, kidney failure and limb loss, so when a family member is diagnosed it can be a very frightening time. It is therefore vital that healthcare providers and governments increase their efforts to ensure better access to treatment and education for all families affected. Globally, only one in four families currently have access to diabetes education programmes.